A big catch up this morning! Mo, your hands have been so busy . . . the gloves have become stunning, and the amulets! I love how you bring materials together. Such a delight over my morning coffee. And now a walk on the beach before the crowd: it’s a holiday weekend so there could be mre than 60 people on this stretch of shore rather than the usual 6 I see on my walk. thanks for visiting Wendy, am deep in the tunnel of getting the Crow Show ready to fly with just over 7 months to go! Love this Mo, it is very delicate yet powerful. 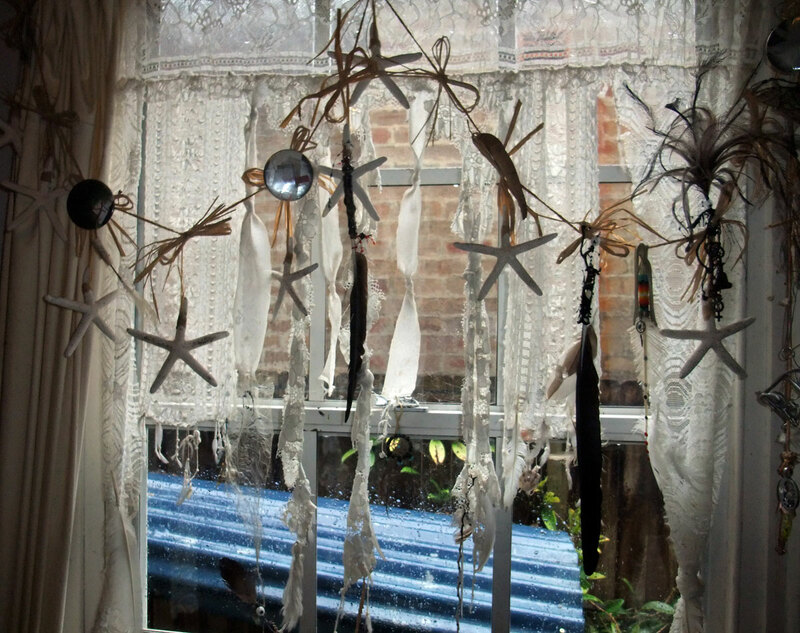 This one is particularly beautiful….light & airy…just like your window dressing. Love it!!! thanks Eliene, it’s a hopeful thing and I like how it can see what’s going on behind as well as what’s in front!! great airy feathers on top and earthy bits at the bottom : wow ! thanks Els it’s a wild thing! (((Carol))) what a wild ride 2016 is already! 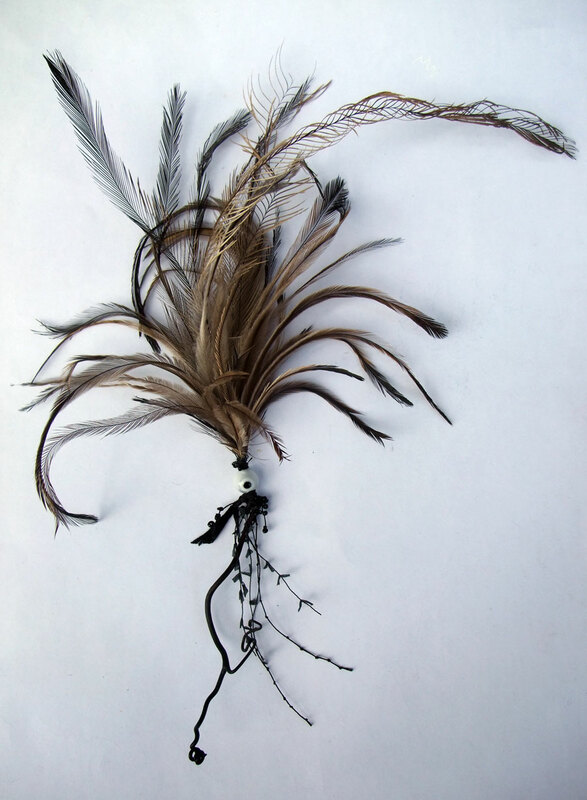 The delicate tracery of these feathers make them speak softly, but their abundance raises the volume. I see them reaching and falling like a fountain.